Jamie Dimon Has One Thing Right – the Market Has Never Seen so Much Debt. This is statistical nonsense, of course. Referring to “7 or 8 standard deviations” is a reference to a normal distribution (also know as a Gaussian distribution) that presupposes a bell-curved degree distribution of risky events. That distribution leads quickly to the “3 billion years” estimate. But, risk is actually distributed on a so-called “power curve” in which extreme moves happen with much greater frequency than a normal distribution. The empirical support of analyzing risk in a power curve distribution has been amply demonstrated since the early 1960s, but mostly ignored. Dimon is either wildly off-base in this estimate, or is relying on subordinate analysis. Both outcomes are disturbing. That said, Dimon does hit home in some remarks in this article including those in a cut-and-paste TV interview. 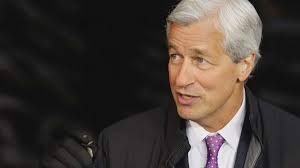 Dimon says that quantitative easing was unprecedented (correct), quantitative tightening is unprecedented (correct) and the U.S. debt-to-GDP ratio is near unprecedented levels (also correct, except the prior heights brought victories in the Civil War and the Second World War). Dimon’s understanding of the statistics may be sketchy, but his bottom-line conclusions are correct. Let’s give credit where it’s due and heed these prudent warnings from the most powerful private banker in the world.